I’m not exactly sure if these characters are more heroes or antiheroes, but I’m excited to see who you would marry, who you would date, and who you would dump when faced with the choice of Jake Barnes from THE SUN ALSO RISES, Frederic Henry from A FAREWELL TO ARMS, and Robert Jordan from FOR WHOM THE BELL TOLLS. 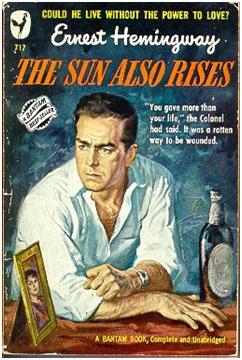 This entry was posted in Marry Date or Dump and tagged a farewell to arms, books, for whom the bell tolls, Hemingway, Marry Date or Dump, The Sun Also Rises by Alison Doherty. Bookmark the permalink.